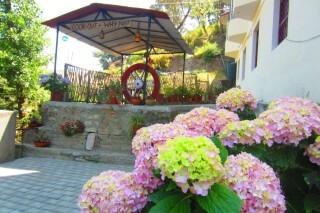 Far from the crowded, overdeveloped and noisy places that most of the popular hill stations of the north have become,We has retained its quiet and serenity thanks to the presence of the local Army Cantonment Board which manages and regulates the development in the town.Located just 6 Kms from Lansdowne is Jaiharikhal – a small hamlet set amidst tall oaks and blue pines – a snapshot of unspoilt serenity. 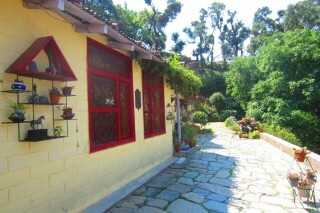 Enjoying amazing views of the majestic Himalayas it’s the ideal place to relax and rejuvenate for those who love nature.This charming little homestay nestled on a beautiful hillside in Jaiharikhal, provides all the comforts of your own home. It provides all the comforts of your own home (including home cooked meals) in an idyllic setting which includes a spectacular view of the Himalayas. 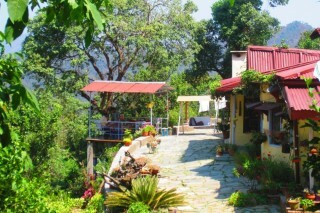 Cosy rooms and cottages set in a beautiful landscaped garden help you forget the hustle and bustle of the city.And Jaiharikhal has even more for nature lovers – a number of treks are launched from this popular base camp. They vary from gentle hiking trails of a few hours to more challenging ones that last a couple of days. 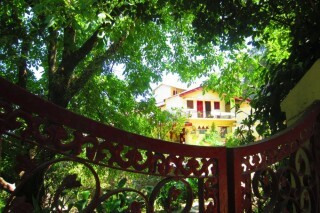 All in all, its the perfect place for visitors that want to enjoy nature in its eternity. We promises to provide you with all the little comforts of a homestay during your stay. 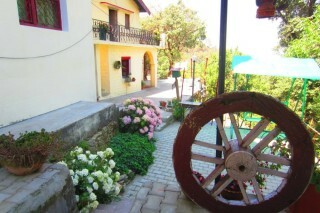 The warm and friendly staff will help organise anything that you may require and provide information and contacts for any other activities that you may want to undertake – like nature hikes, picnics and road trips.You’re also welcome to join the hosts, Colonel Bikram Rawat (Retd) and his wife Neelam, for a drink. 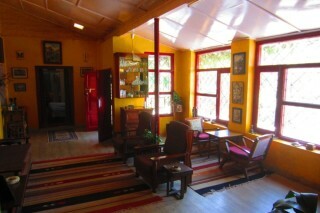 We serve home cooked vegetarian meals on a fixed menu basis for only the guests staying at our homestay. There is NO room service except for bed tea & afternoon tea. Breakfast Menu (Rs 70/person + 13.5% VAT): (Stuffed / Plain Parathas / Aloo Puri, Curd) OR (Toasts, 2 eggs, Butter, Jam) Lunch /Dinner (Rs 130/person + 13.5% VAT): Dal, 2 vegetables, Rice , Tawa Roti , Salad & Pickle NOTE: Non veg dishes are available on order for an extra charge. Harrawala Railway Station 81 km approx. Jolly Grant Airport 91 km approx. 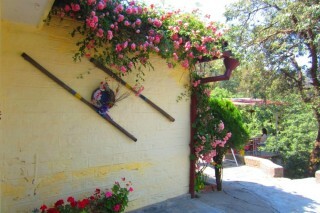 Mussorie Bus Stand 73 km approx.